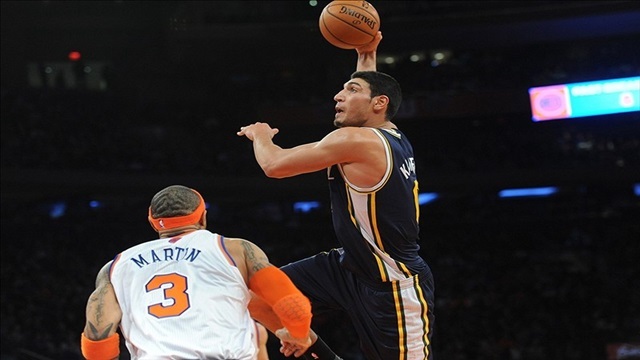 Kanter is a second-year player that is just 20 years old and has played the role of Jefferson’s back-up for most of the season. However, when Kanter has gotten the opportunity to play significant minutes, he has more than delivered on the chance to show his value. Kanter has gotten to start two games this season, both of which were due to the fact that Jefferson and Millsap were both dealing with injuries. In those two starts, Kanter has averaged 39.5 minutes and has put up 20.5 points, 15 rebounds and one block per game. Probably the most impressive part about his performance as a starter is his efficiency, posting a field goal percentage of 60.7 percent. He’s also received an increase in his minutes for the month of March thus far. Jefferson has missed a substantial amount of games in the month due to injury, which has resulted in Kanter’s workload increasing. In the seven games that Kanter has appeared in during March, he’s averaged 26.1 minutes with 15 points and 8.9 rebounds per game. Once again, he’s also been remarkably efficient, shooting the ball at 66.7 percent from the field.